As if people didn’t need to feel more self conscious about how they look, Weight Watchers wants you to reveal yourself across social media in order to eat one of their meals at the new “Feel Good Café” in London. To squander this confusion about dieting, Weight Watchers chose to give away free food in exchange for social media popularity instead of educating it’s supposed customer base. It appears as though they may be trying to expand that customer base as well. 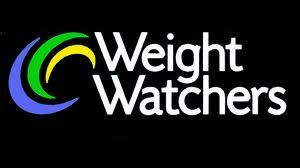 Following the blueprint set by Kellogg’s Tweet shop, Weight Watchers wants to showcase their confidence in their food product range and their pride in their expertise. The cafe promoted samples, offering breakfast, lunch and dinner from the brand’s 250 items, and plans to spread nationwide in the future. If the ad depicting people eating at the Fell Good Café is of any indication, the population of London may not be in dire need of Weight Watchers services after all. I’m taking a selfie with a big fat donut in my mouth.